I became involved in Classical Dressage over 40 years ago, but first let's start at the beginning because without the beginning, it's doubtful I would ever have been drawn to it in the first place. Like so many horse-mad kids in Britain at the time, I started riding long before my tenth birthday and was hunting at home in Scotland by the age of twelve. 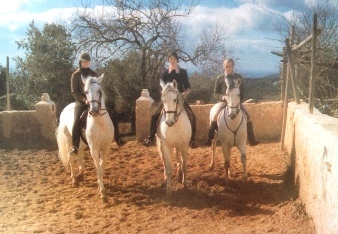 To me hunting was not about killing foxes but a chance to ride with the wind, in company with fast moving horses and their riders and to keep up with the chase. It was also a proof that I could ride! The country we covered in a day was challenging, exciting and amazingly beautiful. It was at that time that my appreciation of Nature grew and flourished. 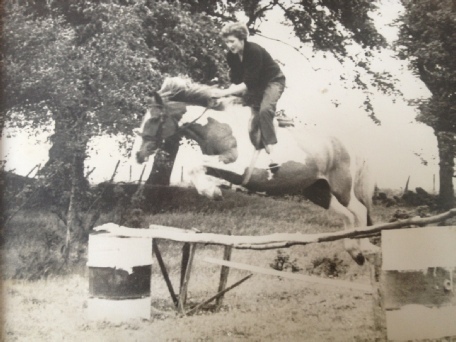 I believe the greatest gift I inherited from those wild, reckless days on my pony was a feel for balance. 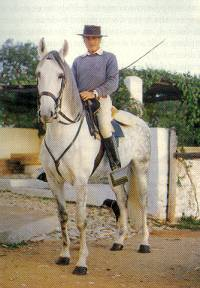 By 15 I had started my own riding school. 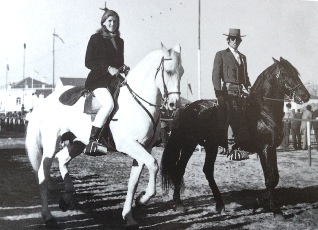 Classical dressage began under the guidance of my late, cavalry instructor husband (29 years my senior) Henry Loch, a British peer of the realm with his own small school of High School horses in the foothills of the Algarve. Henry could rebalance a horse in an instant. With the quietest of seats and invisible aids, he knew just how and where to aid, so that a horse heavy in hand could be transformed to a ballet dancer. 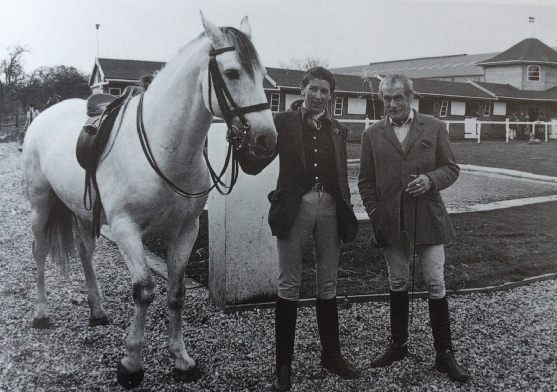 He had learned these pre-war secrets from the Spanish Riding School, time spent at Saumur in France and from various specialist riders - including circus and bullfighters - along the way. It was this re-balancing technique and the secret of the classical seat that was his greatest legacy to me over the years that followed. So entranced were our pupils who came from all over the world that they persuaded us to take our ever-growing stable of Lusitano horses back to England which we did in l979 - as one of the very first.. As Lord and Lady Loch you might have thought it would be easy to be accepted into the British horse world when we returned from l0 years spent in Portugal but although we continued to attract serious students who really wanted to know the truth - among them such notables as Lucinda Green and Christine Stuckelburger - it was clearly not the right moment. 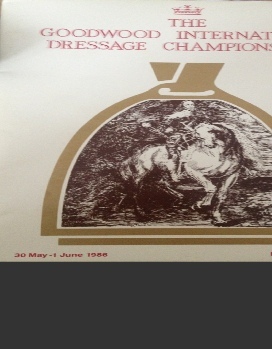 Sadly, we had arrived at a time when dressage was moving in different directions and the idea of Classical Dressage was going through a period of rejection - as it had so many times before - if you ever get round to reading its history..
After Henry’s tragic death in 1982, leaving me with our lovely daughter Allegra born just 8 weeks previously, it was hard to continue with so many horses. Fortunately, many of our students wanted to buy their ‘favourite horse’ - which was really the start of spreading the news about this wonderful breed. 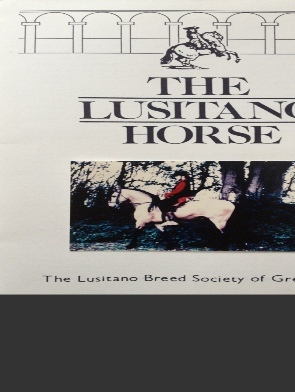 In 1984 I formed The Lusitano Breed Society of Great Britain with the help of a dedicated committee, mostly former pupils and we were subsequently recognised by the APSL in Portugal. 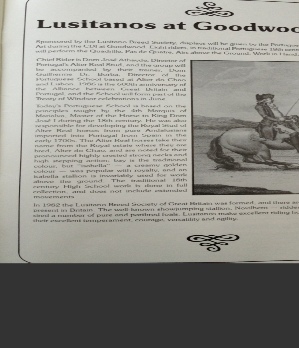 One of our biggest coups was persuading the British Horse Society to feature the Portuguese School of Equestrian Art at The British International Dressage Championships at Goodwood. For 3 days the stadium was packed out to see the Alter Reals and their wonderful riders. A huge success! 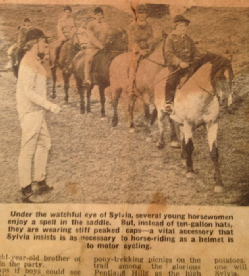 Edinburgh Evening News - 1964 featured Sylvia’s 1st riding School.